We invite you to visit 3D YUVsoft at booth 1A-B06 to discuss your 3D-video conversion needs, how to decrease conversion costs, how to improve quality for less money, or just to talk 3D with us. 2K, 4K, PNG, TIFF, DPX, EXR, DCP and more! Interested in stereo 3D filming as well? 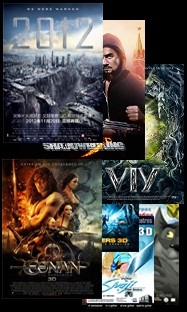 Check out our Hong Kong–based partner, Film Magic Ltd.
Not yet signed up as a visitor? Contact us to get a visitor pre-registration code to FILMART 2014 (a US$285 value). The number of available codes is limited, so email us today!